After signing Carmelo Anthony, the Rockets are still looking to add more players, particularly the defensive minded ones. There were earlier reports of the team eyeing Atlanta forward Kent Bazemore, but USA Today's Sam Amick reports that's not true. 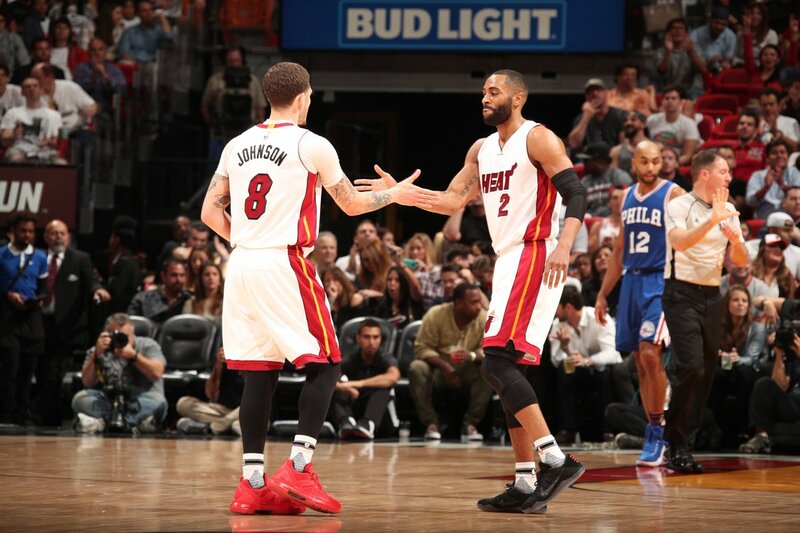 Instead, he believes the team is more interested in the Heat's James Johnson and Tyler Johnson. Since last season, the Rockets have adamantly tried to unload Ryan Anderson, who's owed $20 million this upcoming season and $21 million the following season. Anderson has not been a consistent part of the Rockets' rotation, especially in the post season against Golden State. While he's a threat from beyond the arc, his defense makes him a liability. The Heat's James Johnson and Tyler Johnson, however, are better fits against Golden State. James Johnson's versatility on both ends of the floor would definitely help the Rockets. He can switch between the small and power forward spots and defend the opposing team's best player. Tyler Johnson is a good shooter and plays solid defense. While adding either Johnson could help the Rockets, I'm not sure how it helps the Heat. If they traded Tyler Johnson for Ryan Anderson, it would push them further into the luxury tax and add another power forward to their power rotation. If the Heat decided to move James Johnson, it would require more salary to match. The Rockets could include a sweetener, most likely their 2019 first round pick, but it's unknown how interested the Heat would be in a likely low first rounder. Now if they added Dion Waiters to the deal, they may consider it, but Rockets would probably say no. For now, this is all speculation. But it's something to keep an eye on.